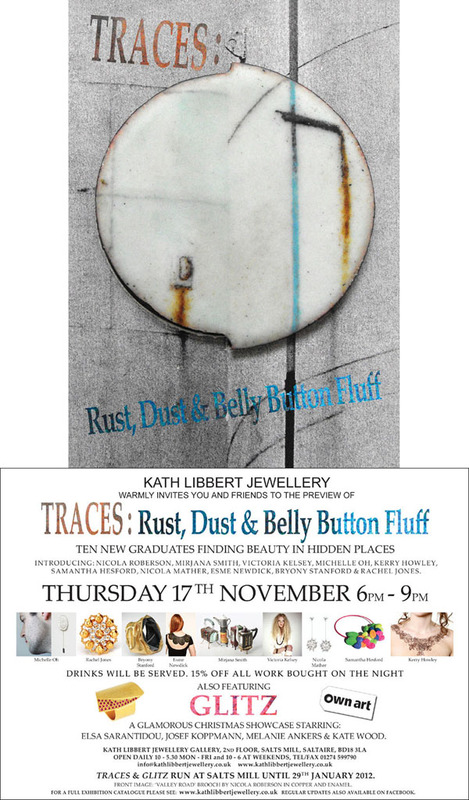 Traces brings together the work of ten new graduates who find beauty in things brushed aside, in intimate ephemeral moments, in smallness, in lost objects, in things that are hidden and secret; creating jewellery that is in turn delicate, dramatic and distinctive. 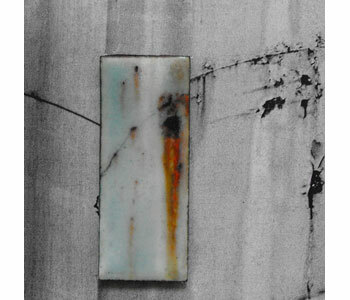 Using subtly coloured enamels on copper Nicola Roberson’s brooches explore the ageing process, the way paint chips and metal rusts and the patterns they leave behind. Mirjana Smith’s quirky ‘teapots’ are made of rusting vintage tins sourced from charity shops, boot sales and auctions which she then reassembles into characterful and playful constructions. Victoria Kelsey’s ‘Precious Grime’ collection is inspired by the marks and traces of age left behind on forgotten jewellery and where dust and dirt has settled she gold plates, literally transforming dirt into precious trails of ‘Gold dust’! Michelle Oh is fascinated by the minutiae of intimate relationships. She takes impressions of her loved ones laughter lines, ‘designer stubble’ and even belly buttons casting them into precious permanent silver jewels which embody the memories attached to those moments. She also offers a bespoke service. From discarded human hair Kerry Howley weaves the most intricate necklaces which play on the attraction and aversion qualities we attribute to hair, creating beautiful pieces from a material usually swept up and thrown away. The exhibition also includes work by Samantha Hesford, whose joyfully coloured necklaces look like exotic corals. Nicola Mather’s delicate jewellery is inspired by the ephemera of seedheads, pods and dandelion clocks, while Esme Newdick’s latex collars are decorated with patterns reminiscent of those used for scarification in African tribes. 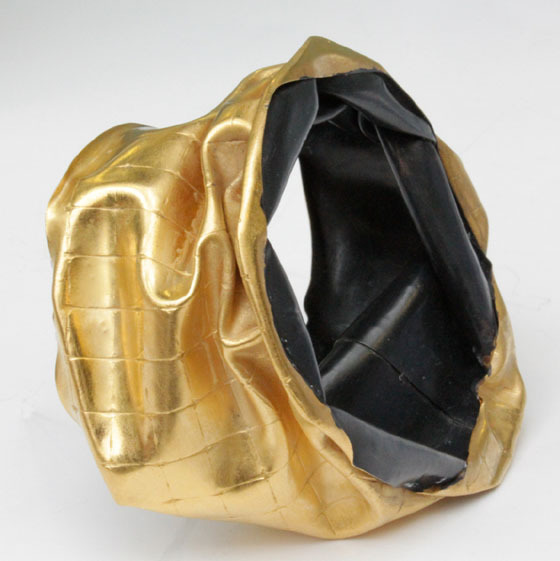 Bryony Stanford’s ‘Crushed’ collection takes inspiration from tin cans, discarded, squashed forms that in her hands are transformed into elegant bangles and brooches. Finally Rachel Jones takes a uniquely personal approach to jewellery collecting emotional stories of lost items of jewellery to inspire fresh pieces which contain ‘Traces’ of the original. Also presenting GLITZ – A Glamorous Christmas Showcase starring Elsa Sarantidou, Greece, Josef Koppmann, Germany/UK, Kate Wood, UK, and Melanie Ankers , UK. Precious pieces with a twist, from Elsa’s flowing wave inspired rings and bracelets encrusted with sparkling diamonds, sapphires and rubies, to Josef’s bold architectural rings and cufflinks set with the most gorgeous carefully selected gems. Kate’s delicate organic collection of jewellery is inspired by blossoms, berries and barnacles, glistening rich clusters of rubies, sapphires and pearls that cascade elegantly, the perfect adornment for that LBD! And for a touch of total glamour, the new Shimmer collection by Melanie, a myriad of delicate silver strands each tipped in rich 24ct gold is stunning! We hope you can join us from 6pm on Thursday 17th November for the opening, refreshments will be served, and we are offering 15% Discount on any work bought on the opening night! 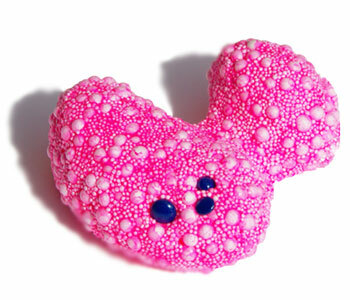 Michelle Oh is an Indonesian designer/maker based in East London. Her work is often inspired by the quotidian and the commonplace, with a special emphasis on the relationships around her. In this particular series (We Were Here), textures encountered within a domestic life were moulded and cast into precious permanent copies of the memories attached to them. This is her invitation for you to celebrate the everyday. Attraction/Aversion is a material exploration of how people can feel seemingly opposing emotional responses simultaneously. The necklaces are made of human hair, a familiar material that we take pride in. However once off of the body hair becomes an innate source of aversion. Kerry wanted to see if she could make discarded hair attractive again. Through the familiar form of a necklace, and using patterns and symmetry that are instinctively pleasing, Kerry Howley has created a delicate balance between the viewer/wearer’s feelings of aversion and attraction. 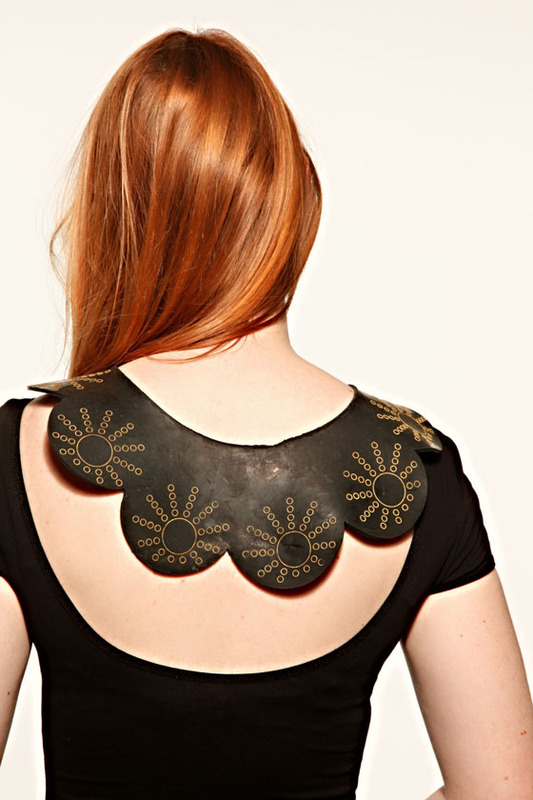 Bryony Stanford creates unique designs through destructive processes. In her current body of work she focuses on the relationship between construction and deconstruction. Simple three-dimensional shapes are transformed into intriguing, intricate wearable objects by forcefully changing their original form. Bryony works mainly intuitively and enjoys the element of surprise innate to her process. In contrast to this initial freedom, she pays close attention to the visual connection between the interior and exterior of the work by applying different textures and finishes. Samantha Hesford : « My current body of work has developed by exploring organic shapes, curves of the natural body and repeated elements within design. 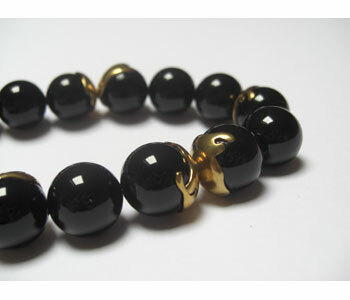 I have a fascination for non-precious materials particularly those materials that have a tactile quality. 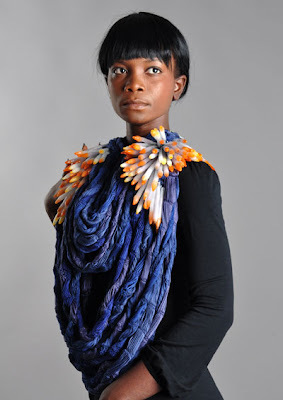 I like the idea of jewellery braking out the traditional role using new unusual materials. Playing around with scale challenges me and allows me to create larger scale statement pieces in which to attract the viewers attention. I explore forms and ideas through making, the softness and curves are appealing aspects of my forms as are the texture, vibrant colour and over all composition. Each of my pieces are made entirely by hand resulting in each piece being completely unique. 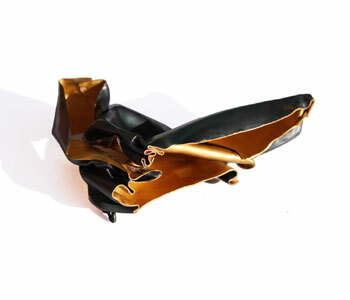 Recently graduated from Middlesex University, Rachel Jones takes a personal approach to jewellery. Interacting with friends, family and often strangers allows Rachel to create sensitive and personal work. Her graduate collection focuses on stories of lost jewellery. 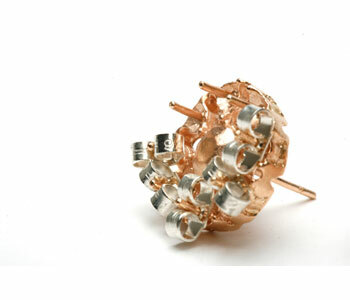 Using collected tales of losing jewellery Rachel creates new pieces often involving familiar existing items of jewellery, creating a juxtaposed of the lost, unwanted, functional and the new. Nicola Mather is a designer jeweller maker who specialises in stainless steel structures combined with gemstones and pearls to create delicate, sculptural jewellery which is functional but unique. The designs are often generated from interests in repetition of a single form and extensive experimentation of material. By combining linear forms with vibrant gemstones Nicola intends to mirror the delicate qualities of organic structures whilst adding her own unique style. 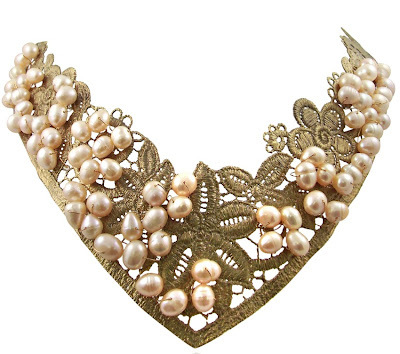 The jewellery is beautifully intricate but deceptively resilient combining form and movement. Nicola’s stainless steel designs can be personalised using precious metals (excluding silver) with various gemstones which are available on a commission basis. Nicola also produces one-off sterling silver designs which are etched with her own personal prints she develops using collected seeds, mushrooms and pods as a printing tool. For more information please contact the gallery. Nicola Mather trained and graduated with a BA (Hons) in Silversmithing and Jewellery from the Glasgow School of Art in 2010. Nicola uses new technologies in jewellery combined with more traditional techniques to create unique ethereal pieces which are intricate and resilient. Inspired by seeds and pods which she collects, Nicola has studied these organic forms closely to reveal the beautiful struture, texture and form which she conveys in her designs. The designs are often generated from interests in repetition of a single form and extensive experimentation of material. By combining linear forms with vibrant gemstones Nicola mirrors the delicate qualities of organic structures whilst adding her own unique style. 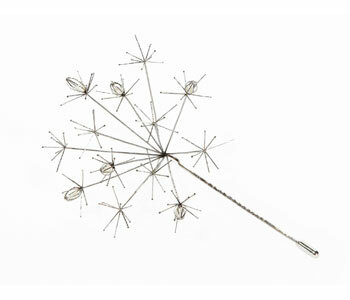 The jewellery is beautifully intricate but deceptively resilient combining form and movement. 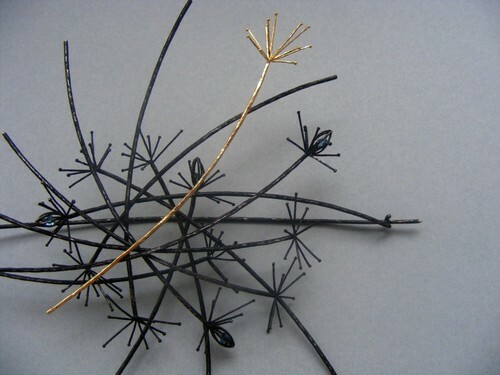 Nicola has already exhibited alongside estalished jewellers at the Barbican in 2010 and is now a licentiate of the Society of Designer Craftsmen. What is Jewellery Now ? Jewellery created from sumptuous clusters of polystyrene balls, architectonic vessels that house upside down plants, eating devices that prevent you from eating?! Prepare to be amazed at the possibilities of Jewellery and Silversmithing, as 29 final year students on the BA Jewellery and Silversmithing degree course showcase their fantastic work at the world famous School of Jewellery, Vittoria Street, Birmingham (BIAD). The show kicks off on Monday 13th June and continues until Saturday 18th June, with an exclusive Industry Evening event on Tuesday 14th June from 17:00, with guest speaker Peter Taylor- the director of technology and training at Goldsmiths’ Company. As the culmination of 3 years hard work, the graduating students will exhibit their final collections- each presenting a unique body of work in preparation for the launch of their careers in the world of Jewellery and Silversmithing. 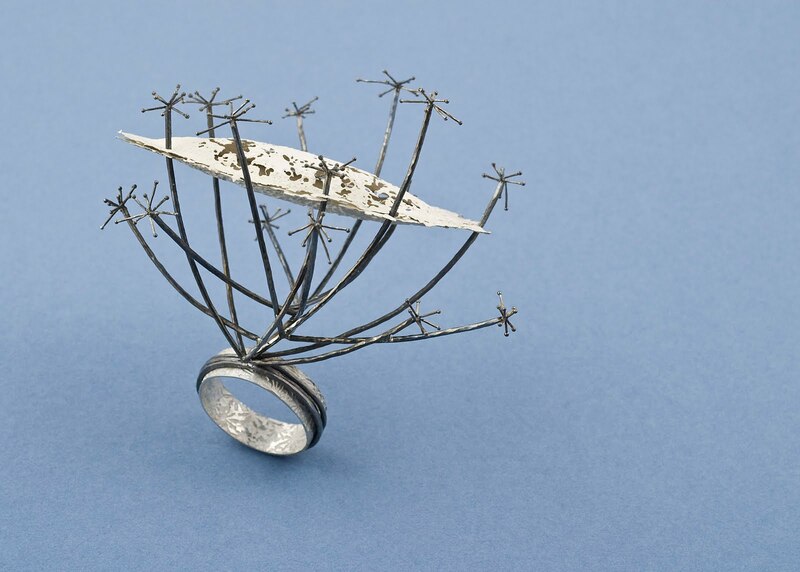 The range of work on display will show a variety of approaches, with some designers opting to display excellence in traditional craftsmanship, whilst others work to push the boundaries of what jewellery and silversmithing can be. 4 students have already been awarded prizes by the prestigious Goldsmiths’ Company, while one student, Samantha Hesford was featured in the latest edition of the national publication Crafts magazine. These students are destined for success! 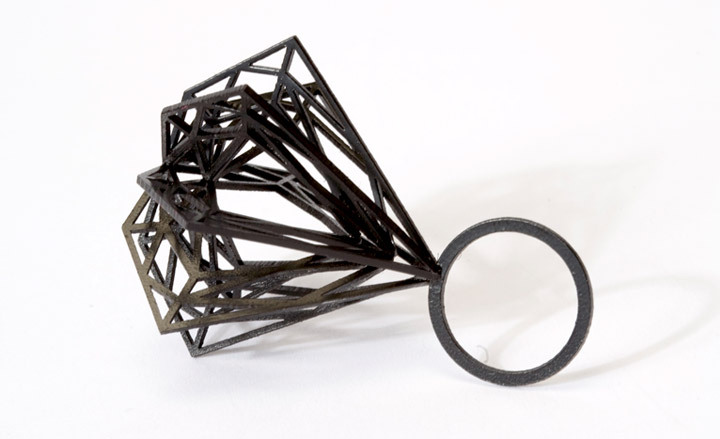 The 29 BA students will exhibit their work alongside other graduating classes from the school, which specialise in the use of new technologies in jewellery, exquisite hand making skills in precious metals, Horology and Gemmology. There will definitely be something for everyone to enjoy and delight in! ‘New Designers’ exhibition, which takes place at the Business Design Centre in Islington, London from 30th June- 2nd July.